As previously reported, Resident Evil: Revelations is headed to HD consoles. Now, it has a leaked list of Xbox Live achievements, which you can view over at Xbox 360 Achievements. There’s nothing too crazy or funny in there—just the usual achievements for clearing various chapters, multiplayer missions, and performing certain things—but this is the first we’ve heard of Revelations’ HD version in the U.S., since the original reveal came via a rating from the Korean rating board. Additionally, while Resident Evil: Revelations was rated for the Xbox 360 and PlayStation 3, there’s a chance we may see it on the PC, too. Awesome. I've heard nothing but great things about the 3DS version. Glad it's coming to consoles, since I have no desire to buy another handheld. Sweet, the date at the end of the video is for the US release, May 24th for us folks in Europe. 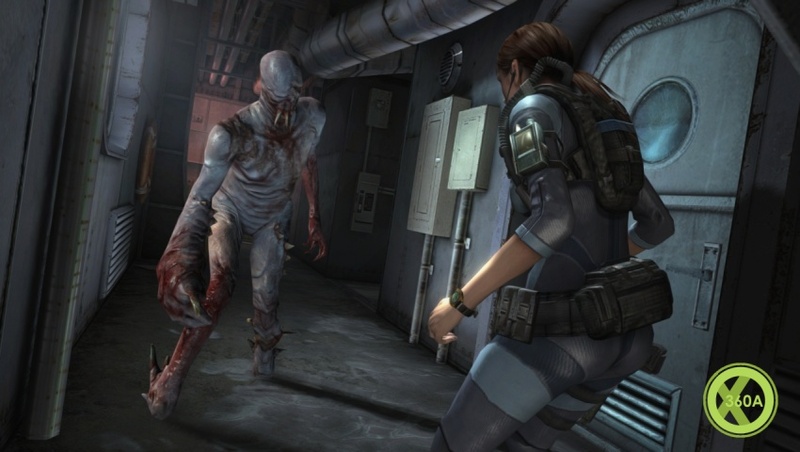 The Resident Evil: Revelations demo has been dated for release early next week. It’ll be available to download from Tuesday, May 14th. The demo takes place on the spooky Queen Zenobia cruise ship, as Jill Valentine attempts to rescue Chris Redfield and Jessica Sherawat. An enhanced version of the well-received Nintendo 3DS title, with HD graphics, a new enemy and a new, ultra-tough difficulty mode, Resident Evil: Revelations is out on May 21st in the US and May 24th in Europe.